To claim this profile, please confirm you are Matti Reiling. To follow this profile, please let us know your relationship to Matti Reiling. RESULTLoss Girls varsity basketball vs. Millard North. 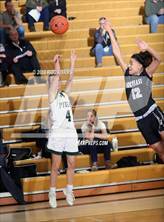 The Pius X varsity basketball team lost Friday's neutral playoff game against Millard North (Omaha, NE) in overtime by a score of 64-57. This game is part of the "2019 NSAA State Girls Basketball Championships - Class A " tournament. RESULTWin Girls varsity basketball vs. Benson. The Pius X varsity basketball team won Thursday's neutral playoff game against Benson (Omaha, NE) by a score of 55-36. Matti's basketball stats have been updated for the win vs. Marian. RESULTWin Girls varsity basketball vs. Marian. 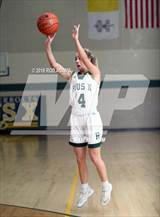 The Pius X varsity basketball team won Friday's home non-conference game against Marian (Omaha, NE) by a score of 64-43. Matti's basketball stats have been updated for the win vs. Bryan. The Pius X varsity basketball team won Thursday's home conference game against Bryan (Omaha, NE) by a score of 63-5. RESULTWin Girls varsity basketball @ Grand Island. The Pius X varsity basketball team won Thursday's away conference game against Grand Island (NE) by a score of 56-33. Matti's basketball stats have been updated for the win @ Omaha Northwest. RESULTWin Girls varsity basketball @ Omaha Northwest. The Pius X varsity basketball team won Tuesday's away conference game against Omaha Northwest (Omaha, NE) by a score of 52-39. Matti's basketball stats have been updated for the loss @ Lincoln Southwest. RESULTLoss Girls varsity basketball @ Lincoln Southwest. The Pius X varsity basketball team lost Saturday's away conference game against Lincoln Southwest (Lincoln, NE) by a score of 64-50. Girls varsity basketball @ Lincoln Southwest. RESULTWin Girls varsity basketball @ Fremont. The Pius X varsity basketball team won Friday's away conference game against Fremont (NE) in overtime by a score of 55-52. Matti's basketball stats have been updated for the win @ Elkhorn. Girls varsity basketball @ Elkhorn. RESULTWin Girls varsity basketball @ Elkhorn. The Pius X varsity basketball team won Tuesday's away non-conference game against Elkhorn (NE) by a score of 50-44. The Pius X varsity basketball team won Saturday's home conference game against Marian (Omaha, NE) by a score of 68-51. RESULTWin Girls varsity basketball @ Omaha North. The Pius X varsity basketball team won Saturday's away conference game against Omaha North (Omaha, NE) by a score of 58-42.